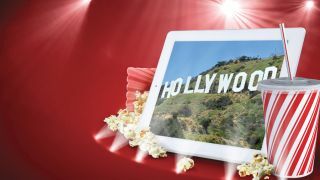 Movie download times could be halved as soon as next year with the impending arrival of a new 'high efficiency' video standard. The new HEVC (High Efficiency Video Coding) codec, which could launch in commercial products in 2013, is supposedly twice as efficient as current high-quality MPEG standards. That means it will use half of the internet bandwidth to download the file, while maintaining the same quality. The result would be much, much faster download speeds from portals like iTunes. Processors capable of decoding HEVC files may begin to appear within televisions, computers, tablets, smartphones within the next twelve months or so, according to experts. "It will take time before it's launched for a TV service, but adoption is much quicker in the mobile area, and we'll probably see the first services for mobile use cases next year," says Per Fröjdh, Manager for Visual Technology at Ericsson Research, who arranged a meeting of the MPEG group to discuss the new standard. The importance of reducing file sizes for has become paramount given the dramatic rise in internet video streaming and the continued increase in HD file sizes. That issue becomes even more important in the mobile sector where users are subject to limited, expensive mobile data plans, and networks struggle to cope with their existing spectrum. "There's a lot of industry interest in this because it means you can halve the bit rate and still achieve the same visual quality, or double the number of television channels with the same bandwidth, which will have an enormous impact on the industry," added Fröjdh.